How much is Abdullah II of Jordan Worth? 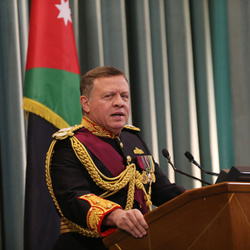 Abdullah II of Jordan net worth: Abdullah II of Jordan is the King of Jordan and has a net worth of $750 million. 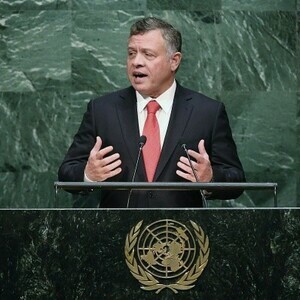 Abdullah II of Jordan was born in Amman, Jordan in January 1962. Abdullah II became the King of Jordan when his father King Hussein passed away in February 1999. King Abdullah is a member of the Hashemite family and his mother is Princess Muna al-Hussein. He studied at Deerfield Academy in Deerfield, Massachusetts. Abdullah joined the British Army as a Second Lieutenant in 1980. 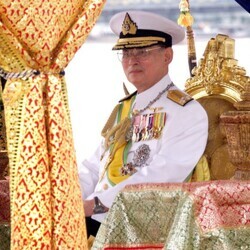 He studied at Pembroke College in Oxford and then attended the Edmund A. Walsh School of Foreign Service at Georgetown University in Washington, D.C. Abdullah's father originally arranged for his son Prince Ali bin Al Hussein to take the throne but later changed his mind. His great grandfather was King Abdullah I who founded modern Jordan. In 2011 he authored the book Our Last Best Chance: The Pursuit of Peace in a Time of Peril. Abdullah II is the majority local investor in a Star Trek theme park which is part of the $1.5 billion The Red Sea Astrarium.